Orlando, Fla.– One of the essential parts of any company is the ability to give back to one’s community. Recently, Corporate Environmental Risk Management did just that. The company, which works on engineering, environmental and project management for transportation agencies, took five girls, aged 12-18, on a comprehensive tour of the Orlando International Airport to pique their interests in the engineering field. “The greatest investment we can make is empowering young people to pursue careers in the industries that interest them,” says Yasmin Moreno, senior project manager, Corporate Environmental Risk Management. “As an woman engineer, it is rewarding that we could inspire the next generation of women engineers by showing them the actual projects right here in their home town. The tour was done in partnership with the Greater Orlando Aviation Authority’s Small Business Development Department and The Greatest Investment (“TGI”) Girls’ Empowerment Program, a leadership and empowerment program in Orlando, Florida for teen young ladies from diverse backgrounds. TGI’s mission is to educate and empower the next generation of strong, confident female leaders. The tour provided behind-the-scenes views of the airport’s new intermodal facility, the new airport people mover and station, the new Parking Garage C and the construction of the South Terminal Complex. Corporate Environmental Risk Management recently won an on-call engineering contract, as part of the STANTEC team, with the Greater Orlando Aviation Authority. 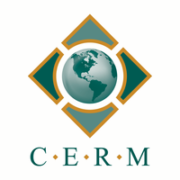 Founded in 1995, Corporate Environmental Risk Management, LLC (CERM) is a minority owned and operated, full service engineering, environmental, and program management firm. CERM employs more than 80 dedicated environmental scientists, project engineers, inspectors, surveyors, construction specialists and technical support professionals. For more information, visit www.cerm.com.